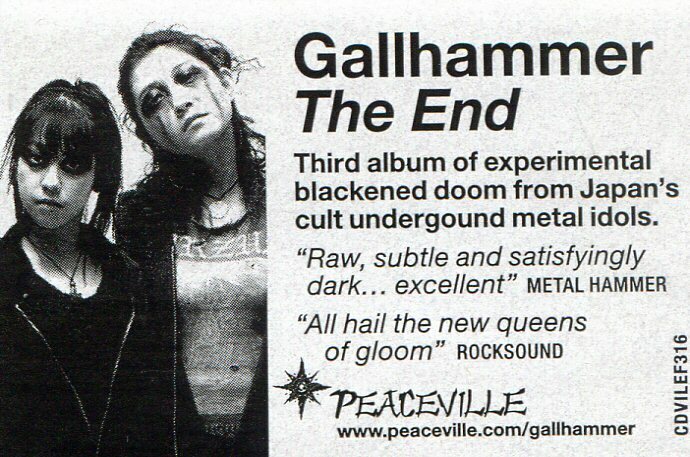 Tokyo female group Gallhammer was formed in February 2003 by Vivian Slaughter (bass/vocals), following her passion for the primitive work of Swiss legends Hellhammer and other metal, punk and crust acts. 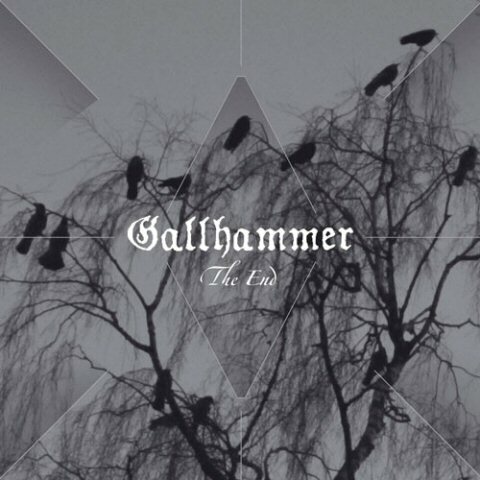 ‘The End’ is Gallhammer’s third studio album, with their debut, ‘Gloomy Lights’, released back in 2004 which, combined with their captivating live presence, brought them to the attention of Peaceville Records and also caught the attention of Tom G. Warrior of Celtic Frost fame. Gallhammer released their second album in 2007, ‘Ill Innocence’, which brought the band great acclaim, followed by European tours and culminating in the band gracing the cover of the UKs Terrorizer and Zero Tolerance magazines. It was announced in mid-2010 that original guitarist/co-vocalist Mika had left Gallhammer to concentrate on her other band, whilst Vivian & Risa (drums) continue as a duo, with Risa’s vocal contributions increasing on the new material. 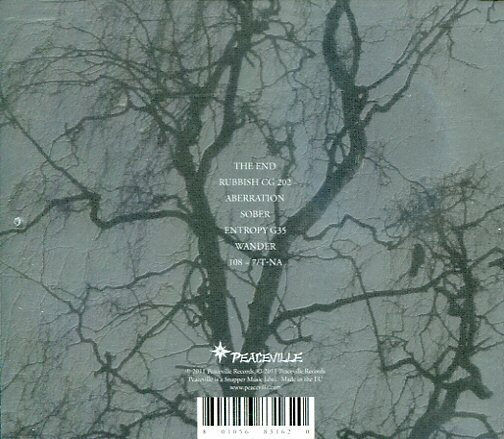 ‘The End’ was recorded at Void Lab in Tokyo in mid-October 2010 and evolves further from the foundations of ‘Ill Innocence’, with an album of disturbing and dark drone music with a hypnotic bass and drum combination mixed with the bands raw black metal and punk origins. To further enhance the Gallhammer sound circa 2011, there is also the introduction of saxophone performed by Vivian, who describes the overall album direction as ‘strange & psychedelic experimental sounds of doom’.